Summer is here and that means sunshine! When I was younger I use to work as a lifeguard and was in the sun all day long. I never really thought of what it was doing to my skin, nor was I thinking about the skin damaging chemicals that are in most store-bought sunblocks and sunscreens. Luckily, my skin managed to survive, but knowing what I know now, I am much more cautious around the sun and what natural sunscreens and sunblock I use to protect myself. Keep in mind there are more, but these are a start! Wear loose fitting long-sleeved clothes. These can let air in and make you look like a movie star at the same time! Use an organic PABA free sunscreen. Drink plenty of water and eat plenty of foods with high antioxidants content. Enjoy the sun this summer and drink plenty of coconut water to stay hydrated! PS. 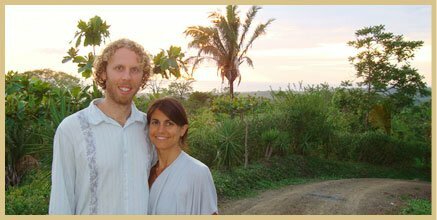 My husband and I recently took an amazing trip to Costa Rica, where there is some powerful sun. It only takes about 20-40 minutes during the middle of the day to get scorched, so we made sure we were prepared with a shady place to sit out and short periods of time under the rays.